In this episode, we report a practical use of GNSS technologies in monitoring a landslide situated in Cinque Terre, Italy. We won’t go into technical details, but state the process and its results. GNSS sensors are installed in an hazardous area and the interpretation of data collected also takes into account other kinds of data (i.e. 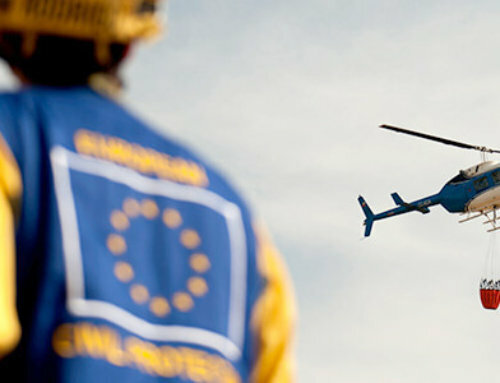 aerial and orthophoto images), so to give accurate displacements measuring that Municipalities can use – in case of alarms – to take countermeasures. 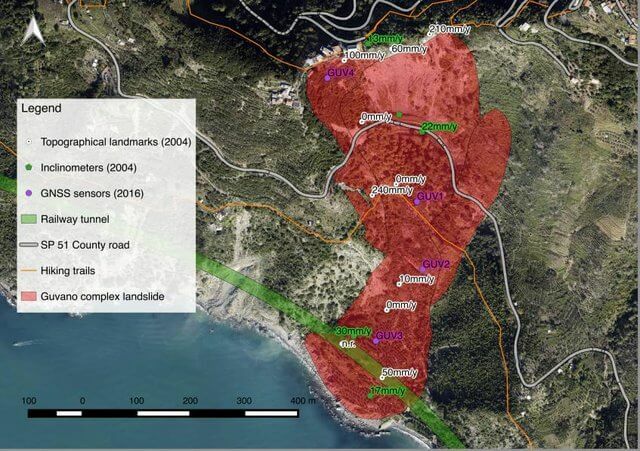 The GNSS monitoring program in the Guvano complex landslide (Cinque Terre) started in October 2015 and built upon a series of studies carried out between the 1970s and early 2000 on the landslide evolution and a more recent field survey executed between May 2014 and June 2015. The Guvano complex landslide is located between the steep Cinque Terre coastline and the Appennine chain ridge. 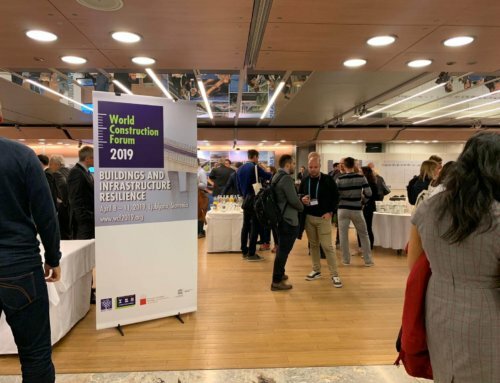 In order to contribute to the geo-hydrological risk management and identify the proper mitigation measures, the research has been particularly addressed to the evaluation of the interaction between the landslide evolution and man-made structures. 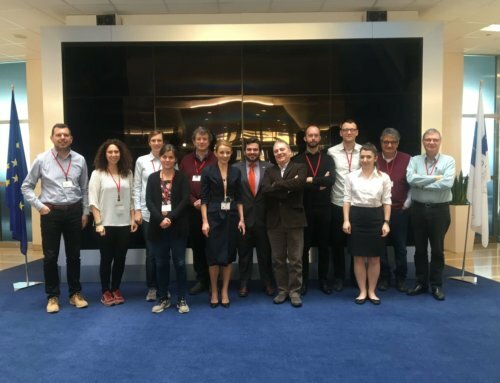 The work has been carried out by four researchers: Pierluigi Brandolini, Francesco Faccini and Marco Firpo from Università degli Studi di Genova and Emanuele Raso from the University of Naples Federico II. To know more details, please read this article. The Guvano complex is historically known from the second half of the XIX century due to its interaction with the construction of the Genova-Pisa railway and, nowadays, mainly because of the damages caused to the country road SP51 between Vernazza and Corniglia. 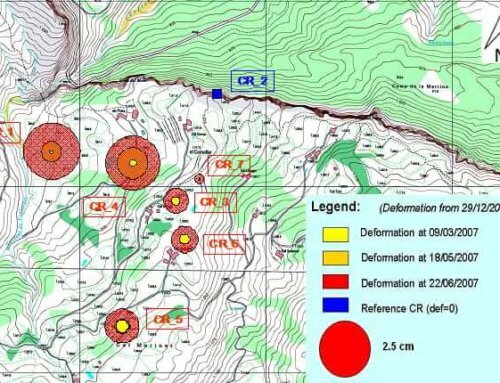 An array of four cost-effective GNSS sensors were positioned to estimate the current displacement of the landslide mass, by means of the GeoGuard service operated by GReD. The first observations between October and December 2015, showed a relative displacement of 1,5 cm between the GUV 1 position (Vernazza-Corniglia pedestrian trail) and the GUV 4 (located under the hamlet of S. Bernardino, as you can see in the map below). The GNSS monitoring considerably helps to quantify the displacement rate coupled with the influence of certain triggering factors. This is an important support for the Vernazza Municipality to take countermeasures in case the measured movements go beyond an alarm threshold.